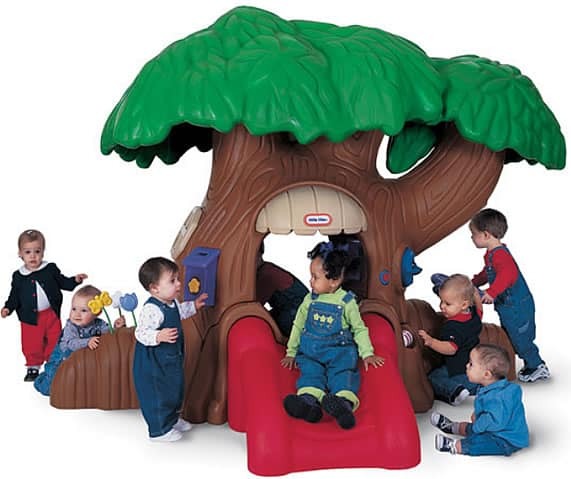 Our commercial play units are available here from the leading manufacturers of commercial playground equipment. Our play structures, swings, slides, dome climbers, and indoor play equipment represent real value in commercial playground equipment. The price-to-performance ratio that will bring a smile to children and savings to our customers. We can install equipment anywhere in the USA! 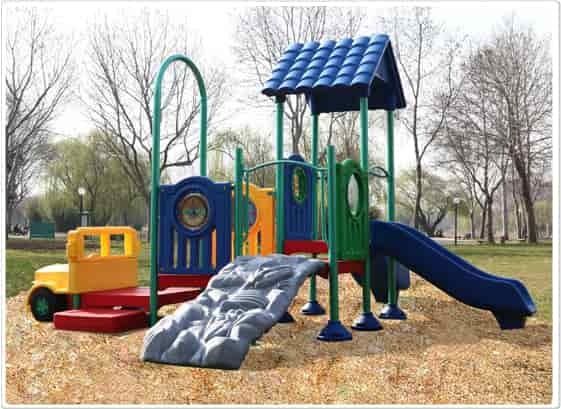 Our modular outdoor commercial playground equipment is fully customizable and meets park and recreation industry standards. The steel posts and components of our modular outdoor commercial playground equipment are made from 50% recycled steel. For a competitive solution for smaller children and day care operations, try our play houses and plastic climbing structures. Our commercial swing sets are available in a number of different sizes and styles, from space-saving single-post swings to extra-heavy-duty traditional tripod multi-user swings. New! Commercial playground equipment over $5,000 may qualify for lease financing under our new finance program. You may be able to obtain up to $150,000 to finance the commercial play structures you want to put on your playground! Not only do we sell high-quality, commercial playground equipment nationwide, but we also install playground equipment and do playground maintenance and construction throughout Washington DC, Maryland and Northern Virginia.